The sadness of not continuing what our ancestors taught us. Is there any chance this trend will change? In the about page I talked about my first contact with herbal remedies. This type of medicine has been around for thousands of years, it is the oldest form of health care around. Scientific studies on herbs are ongoing; there is no doubt in my mind that the answer to many cures lays within herbs. Human beings discovered the medicinal quality of herbs long before today's technology ever existed. How is it that the San bushman and other indigenous tribes with no medical or scientific training learned about medicine? The answer is Zoopharmacognosy a procedure by which animals treat themselves by utilizing and selecting soils, plants as well as insects to prevent and treat disease. I find it very sad that most of modern day society did not continue where are ancestors left off. Worst still is the fact there is not any interest in bringing this back to the general population. Why is this? The answer I believe, is that everything is too easy. Why learn about medicinal plants when you can just pop down to a chemist and get some medicine over the counter? Unfortunately this ease and laziness costs us because it makes us less independent and less resourceful. A lot of people don't mind that but what happens if there is a shortage of medicines or the prescription costs go up? There is no knowledge to fall back on, then you are stuck. What if you're living in a place like the Philippines, where medicines are expensive and jobs are at a premium? The Philippines government are encouraging people to learn about and use herbal medicine because they know about these difficulties. Yes I believe so, England like many other places is going through a time of economic hardship. In times of economic hardship people will always look for a way they can save money. Plants are all around us and it is free or very cheap. In these difficult times people are becoming more and more disenchanted with government, e.g protestors on wall street, protestors at St Paul's cathedral. The signs are there that people want to be less dependent on government and more independent. It will not happen overnight I feel, it will be a slow and difficult process. Today’s children have access to a lot of technology, items such as mobile phones, computers, ipads and mp3 players. A lot of these children get these things at an early age and by the time they have got used to such items their mind is not geared up for activities such as nature walks and identifying herbs. When I was 5 years old my school often took me and my classmates on nature walks. We used to collect items such as pine cones and horse chestnuts. When we got back to the classroom we would draw them or dip them in paint and write a few paragraphs about them. We were also fortunate enough to have a school garden at my school, where we grew plants such as daffodils and geraniums. There is no reason why there cannot be lessons on herbalism done in the same format. Another thing is that kids should be encouraged to do is ask their parents and older members of their family about herbs and herbal remedies. The knowledge the older generation have is not usually revealed until someone is ill. I learned a lot about herbs and herbal remedies from older family members. An estimated eighty percent of the population in the world uses herbal type medicines according to the World Health Organization. They have also stated that twenty five percent of modern drugs used in the USA are derived from plants. 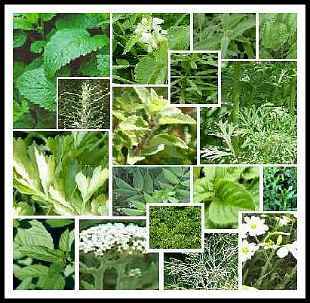 The herbs index list individual herbs click on a herb that you are interested in that section to read about it. Read about the interesting old home remedies that African American slaves used, there are links for other remedies for ailments in that section.